A Michigan government-appointed civil rights commission says systemic racism helped to cause the Flint water crisis, according to a 129-page report released Friday, Feb 17. The report says “historical, structural and systemic racism combined with implicit bias” played a role in the problems, which still linger in the city’s drinking water almost three years later. An emergency manager, appointed by Gov. Rick Snyder had Flint’s water supply changed from Lake Huron to the Flint River in 2014, a decision reversed more than a year later amid reports of corroded pipes and elevated blood lead levels. Among the changes it recommends is one for the law for selecting emergency managers, saying the state shouldn’t be focused solely on cost cutting. It needs more community input, the report says. The report says one theme was common in the hearings where the public spoke. People said predominantly white cities such as Ann Arbor or Birmingham, near Detroit, would have been treated differently by the state. 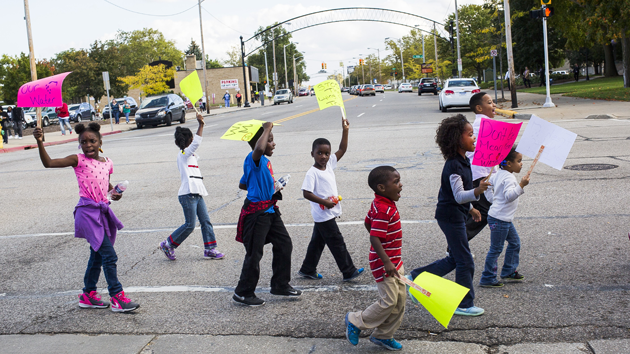 Flint is 57 percent black, 37 percent white, 4 percent Latino and the rest mixed race, according to the U.S. Census. “I believe the water source was switched as a way to save money despite the warnings that were given. Systematic racism comes in play when it’s 2017 and Flint still does not have clean water,” said Sarah Thomas, a sophomore kinesiology major from Detroit. Fourty percent of Flint residents live below the poverty line and were the victims of “environmental racism” the report stated. “The presence of racial bias in the Flint water crisis isn’t much of a surprise to those of us who live here, but the Michigan Civil Rights Commission’s affirmation that the emergency manager law disproportionately hurts communities of color is an important reminder of just how bad the policy is,” state Sen. Jim Ananich, a Democrat from Flint, told CNN.